Delicious english muffins made from scratch with einkorn flour. They are soft and chewy and full of flavor. 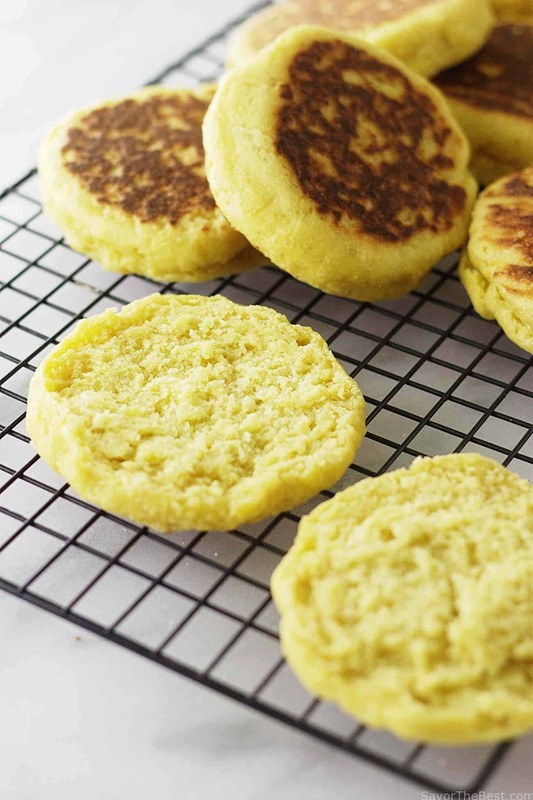 These einkorn english muffins are moist, light and flavorful, they toast up crisp and delicious. They are so much better than store bought ones. If you haven’t’ heard of einkorn before, it is an ancient grain and the purest form of wheat that has never been hybridized. It is more flavorful than modern day wheat plus it is more nutritious and easier to digest. I wish I could send you one of these einkorn english muffins to taste and convince you that einkorn flour is simply delicious. The einkorn flour is not only full of flavor but it has an exceptional nutrient profile. Einkorn is higher in protein than normal wheat and it is a good source of thiamin, phosphorus, iron, fiber and lutein, a powerful antioxidant known to benefit eye and cognitive function. Einkorn has gluten but the gluten is much different than the gluten in modern wheat and although it is not recommended for anyone with celiac, some people that are sensitive to gluten find they can tolerate einkorn. Compared to modern wheat, the gluten is weaker and the proteins, starches and fats are all profoundly different. This creates some differences in how it reacts with baking. It is especially different to bake with when you make yeast breads. Here are some tips for making yeast breads with einkorn flour. Einkorn bread does not need to be kneaded because it will not develop the gluten. 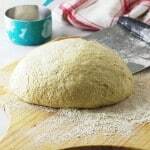 As a matter of fact over-working the dough will break the gluten down and make the dough stickier, harder to handle and can create a more crumbly texture after it is baked. Since the gluten in einkorn is weaker than standard bread dough, it will not support a high rise. If you bake bread with modern flour you would typically allow the bread to double in size but if you attempt this with einkorn flour, the gluten will not be able to support the taller structure and and it will collapse. With einkorn bread, only let the dough rise by half (if the dough is 2 inches tall, only allow it to rise to 3 inches). Dough made with einkorn flour should be stickier and wetter than standard bread dough. If it feels easy to handle and shape without sticking to your dry hands, it is most likely too dry and will not rise as well and will bake up dry, dense, and firm. Instead of using flour to prevent the dough from sticking to your hands, dip your hands in water and keep your hands wet. Wet hands will make it easier to handle the dough, preventing it from sticking to your hands while you shape it. Einkorn absorbs liquids and fats slowly, if the dough seems too wet on the initial mixing, allow it to rest and go through the first rise before adding more flour. If you do add more flour to the dough, only add enough so that it holds it’s shape but is still a sticky wet dough. 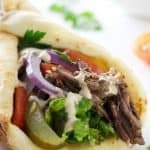 If you add fats and eggs to the dough it will take more time to rise so keep the surface of the dough oiled or grease some plastic wrap and cover the dough while it rises to prevent the dough from drying out. Use a bench scraper or knife to divide the dough instead of pulling it apart which can tear the gluten. A bench scraper will also make it easier to keep your work surface clean. 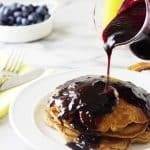 I use instant yeast in this recipe. Instant yeast does not have to be dissolved in water and proofed before using it. You can add it directly to the dry ingredients and save a step. Instant yeast reacts a bit quicker than active dry yeast but either yeast will work in this recipe. If you use active dry yeast increase the amount of yeast in the recipe by 1/2 teaspoon and dissolve it first. The gluten in einkorn flour is weak and kneading the dough will break the gluten down. This recipe uses a technique of turning the dough then allowing it to rest while it absorbs the liquid and strengthens the gluten. You can skip this step and simply leave the dough alone for a couple of hours before dividing it and shaping it. I have done it both ways and there isn’t a big difference in the finished product however the folding technique creates a smoother dough and makes it slightly easier to handle. 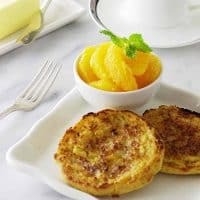 This recipe has potato flakes added to the dough. It is optional. The potato flakes help lighten the texture of the bread but you will still have a lovely, chewy texture without them. The dough in this recipe is wetter than recipes made with traditional flour. Wet hands and a wet counter top will help keep the dough from sticking while you work with it. If you use flour to prevent your hands from sticking to the dough then the extra flour will make the dough too dry and your finished english muffins will be dense, dry and hard. 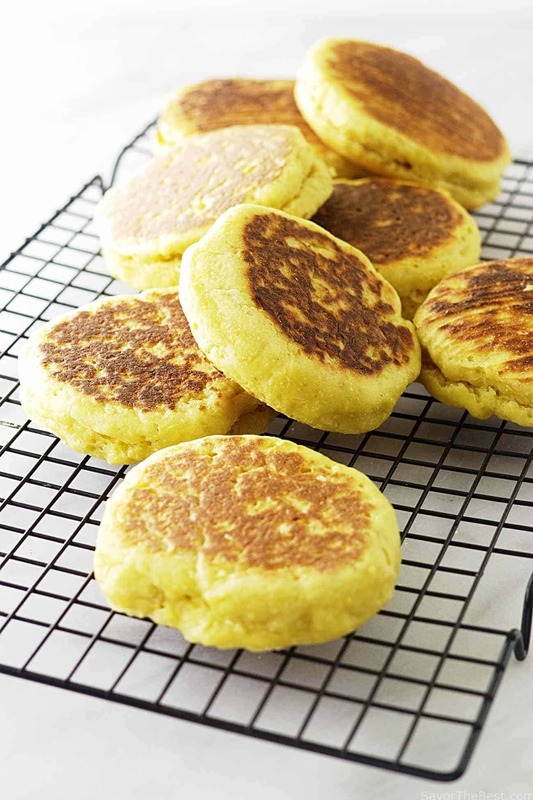 Delicious english muffins made with einkorn flour, an ancient grain with exceptional flavor and nutrition. Using wet hands so they don’t stick to the dough, lift the dough and fold it in half two or three times, then let it rest another 20 more minutes. Repeat this step two more times (folding it in half then letting it rest for 20 minutes). After the last folding process, cover the bowl and let it rest for 1 to 2 hours. Line two large sheet pans with parchment paper. Divide the dough into 12 equal pieces and shape each piece into a ball. Place the balls of dough on the parchment lined baking sheet and press down to flatten them. Keep the dough rounds spaced at least 2 inches apart. Use a sharp knife to cut the parchment paper between each piece of dough so they are all sitting on a small square of parchment, this will allow you to pick the dough up once it is proofed using the parchment without disturbing the proofed dough. Lightly spray the dough with oil and cover them with a light kitchen towel. Let them proof at room temperature for 2 to 3 hours until they are just half as tall. If you allow them to double in size, the gluten in the einkorn flour will not hold the shape and they will collapse. Preheat the oven to 350° F then heat a skillet or griddle over medium heat on the stovetop. Slide a spatula under the parchment of the dough rounds and carefully transfer 3 to 4 pieces of dough onto the hot skillet. 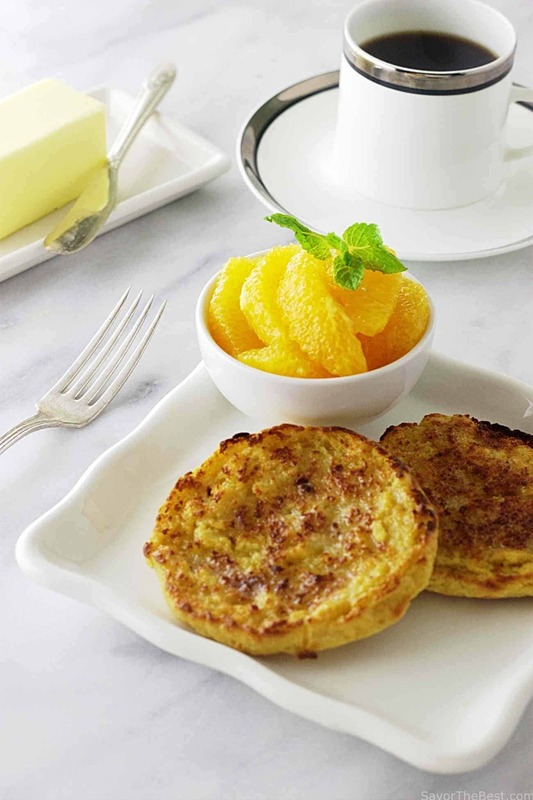 Cook the muffins for 6 to 8 minutes on each side until they are a light golden brown. Once they are browned on each side, transfer them back to the sheet pan and repeat with the other uncooked muffins. 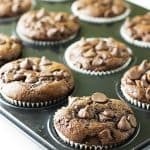 When all the muffins have been browned on both sides, place the sheet pans in the oven and bake for 8 to 10 minutes, rotating the pans half way through the bake time. Allow the muffins to cool for 30 minutes. To split them open, insert the tines of a fork around the edges of the muffin and break them open. The gluten in einkorn flour is weak and kneading the dough will break the gluten down. This recipe uses a technique of turning the dough then allowing it to rest while it absorbs the liquid and strengthens the gluten. You can skip this step and simply leave the dough alone to proof for a couple of hours before dividing it and shaping it. I have done it both ways and there isn't a big difference in the finished product however the folding technique creates a smoother dough and makes it slightly easier to handle. The potato flakes are optional, they they help lighten the texture of the bread but you will still have a lovely, chewy texture without them. 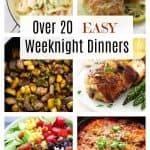 – although the recipe is not difficult, they do take quite a few hours from start to finish—so plan on that when making these. 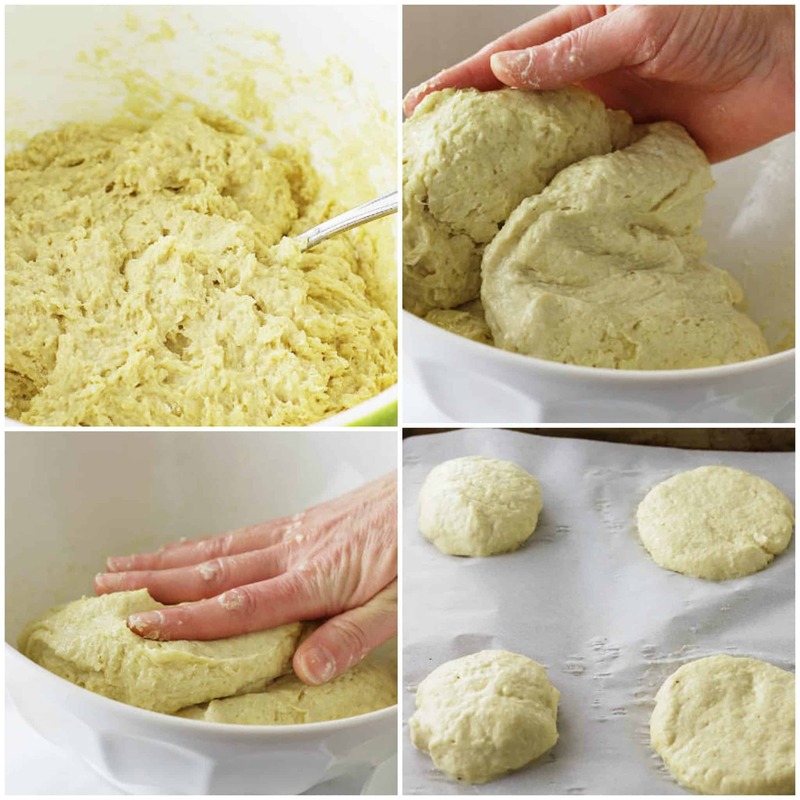 – the suggestion of wetting your hands to handle the dough worked great—don’t add flour to the board; also using a nylon dough scraper to portion the dough into pieces was perfect. – since my kitchen is quite cool and dry during the winter months, I put the glass bowl covered in plastic wrap in the oven with the light on for the 1-2 hour rise at the end of step 2. – two recommendations I have: 1) cut the parchment paper into squares to fit your sheet pan so you don’t damage the pan by cutting on it; 2) lightly grease the parchment squares BEFORE adding the dough rounds so when you flip the squares onto the hot skillet the parchment paper should more easily release from the dough (mine was stuck and I had to gently pry the parchment away using my spatula. You’re welcome! These are now my absolute favorite recipe using einkorn—so versatile for breakfast, lunch, or dinner! As recommended, I pry them in two using a fork after microwaving one for 30 seconds to thaw. 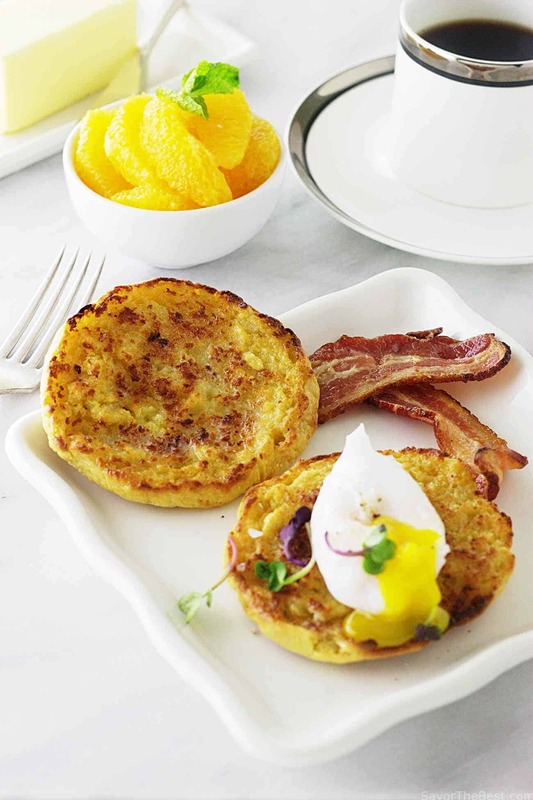 Hi, Debbie….We are so happy this English muffin recipe is so well liked. We also love them! I’m about 80% there with this recipe. I tried it for the first time and taste and texture was great, but my dough was extremely wet- so wet I could not form balls. I followed it to a T and even measured in grams. I did add a bit more flour during the 20 minute fildings. My dough was about a bit more thick than pancake batter and it did continue to rise throughout the process. I did not add potato flakes. Any suggestions? Hey Kim, yeast bread is a funny thing. 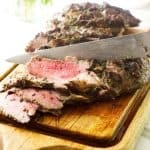 The weather has a huge impact on how a recipe will perform. Since it is summer time the most likely issue is the heat and humidity. Heat and humidity will affect flour quite a bit. If you bake in the summer, or even on a rainy day, add more flour until you get the right consistency. Just add the flour a little at a time and give some time to absorb the liquid. I’m sure you did it all correctly, that is just how much weather can affect a yeast bread recipe. Thanks for the question. This looks so good. I can not wait to try them. 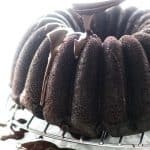 Is it possible to use sprouted einkorn flour or freshly ground einkorn wheat? Any suggestions for adjustments?